Find out where to buy your favorite beers, and browse up-to-date beer menus for bars, restaurants, and beer stores nearby. 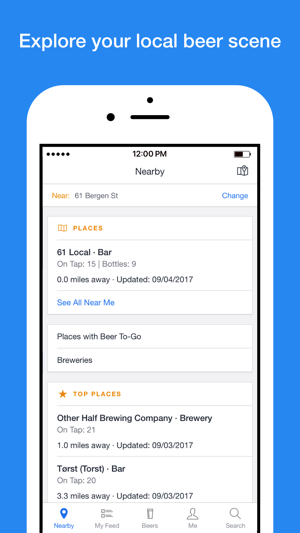 • Follow beers to get notified when they become available nearby. 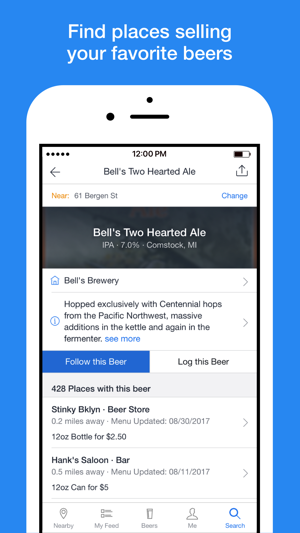 • Follow places to get notified when they change their beer menu. • Find places selling beers you love or want to try. • Browse up-to-date beer menus. 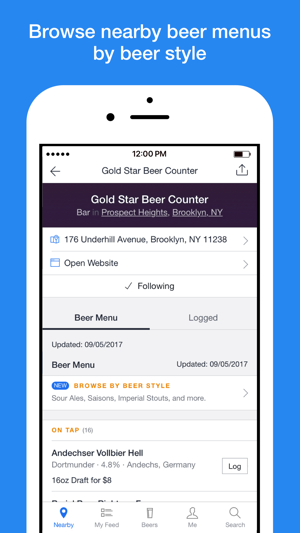 • Log the beers you drink to keep track of and easily find your favorites. 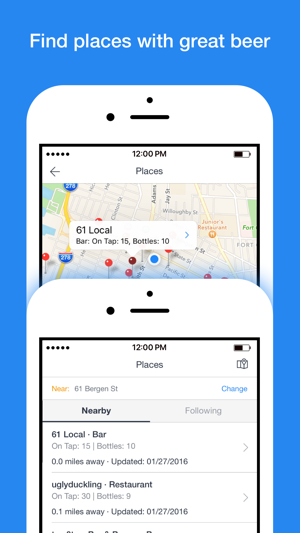 • Search for beers and bars directly from Spotlight. 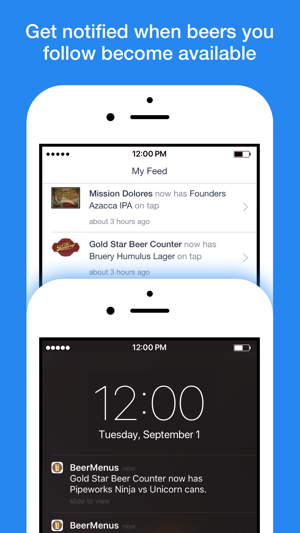 • Get beer recommendation notifications when you arrive at businesses that use BeerMenus. If you have any feedback, we'd love to hear from you at support@beermenus.com. You are only prompted once when calling a place. Update: I’m told a fix has been submitted and I’m happy to amend my rating based on paste experience and a prompt customer service response. Hands down the easiest way to explore local craft beer options at home or when traveling. Great for tracking down beers you love. Must have app for any craft beer enthusiast. Jon, glad we could help! Thanks for being a dedicated user, cheers! Not sure what happened to the notifications. I used to get them when the places I followed updated their menu....now I only get the daily emails. Super fast response from customer service. Had me back up and running good as new within a few minutes. Hey there, not sure what caused this change, so please email us at Support@BeerMenus.com and we'll fix it up in no time. Cheers!